Gather around, campers, and hear a tale as old as time. Remember the HTC Dream? The Evo 4G? The Google Nexus One? What about the Touch Diamond? All amazing devices. The HTC of 2018 is not the HTC that made these industry-leading devices. That company is gone. It seems HTC is getting ready to lay off nearly a quarter of its workforce by cutting 1,500 jobs in its manufacturing unit in Taiwan. After the cuts, HTC’s employee count will be less than 5,000 people worldwide. Five years ago, in 2013, HTC employed 19,000 people. HTC started as a white label device maker giving carriers an option to sell devices branded with their name. 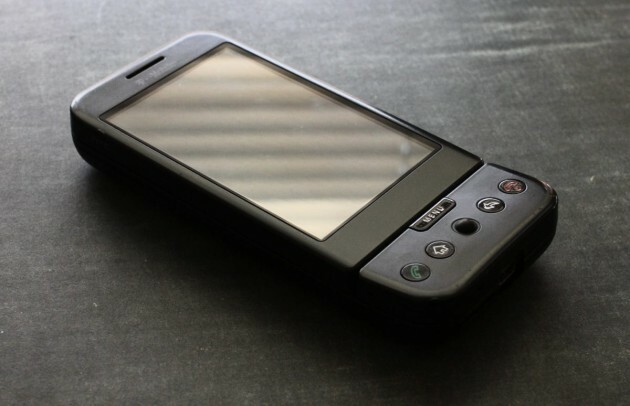 The company also had a line of HTC-branded connected PDAs that competed in the nascent smartphone market. BlackBerry, or Research in Motion as it was called until 2013, ruled this phone segment, but starting around 2007 HTC began making inroads thanks to innovated touch devices that ran Windows Mobile 6.0. In 2008 HTC introduced the Touch line with the Touch Diamond, Touch Pro, Touch 3G and Touch HD. These were stunning devices for the time. They were fast, loaded with big, user swappable batteries and microSD card slots. The Touch Pro even had a front-facing camera for video calls. HTC overlayed a custom skin onto Windows Mobile making it a bit more palatable for the general user. At that time, Windows Mobile was competing with BlackBerry’s operating system and Nokia’s Symbian. None was fantastic, but Windows Mobile was by far the most daunting for new users. HTC did the best thing it could do and developed a smart skin that gave the phone a lot of features that would still be considered modern. In 2008 HTC released the first Android device with Google. Called the HTC Dream or G1, the device was far from perfect. But the same could be said about the iPhone. This first Android phone set the stage for future wins from HTC, too. The company quickly followed up with the Hero, Droid Incredible, Evo 4G and, in 2010, the amazing Google Nexus One. After the G1, HTC started skinning Android in the same fashion as it did Windows Mobile. It cannot be overstated how important this was for the adoption of Android. HTC’s user interface made Android usable and attractive. HTC helped make Android a serious competitor to Apple’s iOS. In 2010 and 2011, Google turned to Samsung to make the second and third flagship Nexus phones. It was around this time Samsung started cranking out Android phones, and HTC couldn’t keep up. That’s not to say HTC didn’t make a go for it. The company kept releasing top-tier phones: the One X in 2012, the One Max in 2013 and the One (M8) in 2014. But it didn’t matter. Samsung had taken up the Android standard and was charging forward, leaving HTC, Sony and LG to pick from the scraps. At the end of 2010, HTC was the leading smartphone vendor in the United States. In 2014 it trailed Apple, Samsung and LG with around a 6 percent market share in the U.S. In 2017 HTC captured 2.3 percent of smartphone subscribers and now in 2018, some reports peg HTC with less than a half percent of the smartphone market. Google purchased a large chunk of HTC’s smartphone design talent in 2017 for $1.1 billion. The deal transferred more than 2,000 employees under Google’s tutelage. They will likely be charged with working on Google’s line of Pixel devices. It’s a smart move. This HTC team was responsible for releasing amazing devices that no one bought. But that’s not entirely their fault. Outside forces are to blame. HTC never stopped making top-tier devices. The HTC of today is primarily focused on the Vive product line. And that’s a smart play. The HTC Vive is one of the best virtual reality platforms available. But HTC has been here before. Hopefully, it learned something from its mistakes in smartphones.